HOUSTON (CN) — Texas asked the Fifth Circuit on Monday to vacate an injunction that stopped it from cutting Medicaid funding to Planned Parenthood, citing a sting video it claims shows the health care provider mishandles aborted fetal tissue. David Daleiden, 29, is Planned Parenthood’s archenemy. As founder of the anti-abortion group Center for Medical Progress, Daleiden posed as an employee of his biomedical research shell company, and used a fake ID to get into Planned Parenthood Gulf Coast (PPGC) in Houston in April 2015. Daleiden, who calls himself a citizen journalist and compares himself to the muckrakers of the late 19th and early 20th centuries, secretly recorded his discussions with two PPGC directors. Though Daleiden’s critics say his sting videos are heavily edited, Texas Attorney General Ken Paxton has repeatedly called the film Daleiden shot at PPGC “raw video footage” that he says shows that Planned Parenthood employees violate ethical and medical standards. The Texas Health and Human Services Commission tried to use the footage as grounds to terminate Planned Parenthood’s more than $3 million in annual Texas Medicaid funding in January 2017. Medicaid is jointly funded by federal and state governments. More than 4 million Texans are enrolled in the state Medicaid program. Planned Parenthood Gulf Coast, several Texas affiliates and seven of their Jane Doe patients sued Texas in Austin Federal Court. Planned Parenthood officials said the cuts would have a “devastating” effect on nearly 11,000 poor people who rely on its 34 Texas clinics for family planning, basic health services, cancer screenings and testing for sexually transmitted diseases. 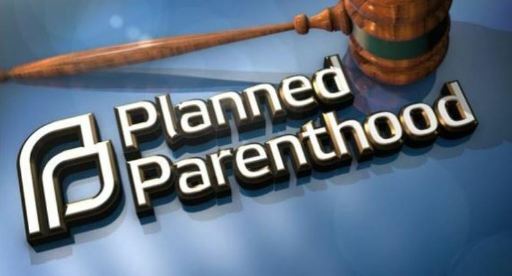 After a three-day hearing, U.S. District Judge Sam Sparks granted Planned Parenthood a preliminary injunction in February. He found Texas did not present “even a scintilla of evidence” warranting the termination of Planned Parenthood clinics from the Texas Medicaid program, and that the video evidence was “suspect,” as the health commission had made no attempt to authenticate it. Texas Assistant Solicitor General Heather Gebelin Hacker told a three-judge panel of the Fifth Circuit on Monday that the video points to a conflict of interest that by itself is enough to justify yanking Planned Parenthood’s Medicaid funding. Hacker also said the videos indicated Planned Parenthood had altered the timing of abortions, waiting until the fetus reached a certain point of gestation, to procure viable fetal tissue, and had done so despite having patients sign a consent form stating that no modifications will be made to the procedure. Judge Edith Jones, a President Ronald Reagan appointee, has criticized the U.S. Supreme Court’s 1973 decision to legalize abortion in Roe v. Wade. She grilled Jennifer Sandman, counsel for the Planned Parenthood Federation of America, the group’s parent organization, asking if it’s her position that the state can never disqualify a provider from Medicaid for ethics violations. Jones said she had watched the 8 hours of footage Daleiden and an associate shot at Planned Parenthood Gulf Coast. An indignant Jones described one snippet she said showed PPGC’s surgical center director Tram Nguyen smirking as she told Daleiden how PPGC gets around federal rules that ban so-called partial birth abortions, in which the fetus is delivered intact. “Your honor, I would deeply disagree with that characterization of what happened on that section of the video,” Sandman said. “She definitely smirked,” Jones said. Judge E. Grady Jolly, also a Reagan appointee, jumped in. “I’m not going to argue about the video anymore,” he snapped. He asked Sandman and Hacker if they thought the best solution would be to remand the case to Sparks, and instruct him to revisit the preliminary injunction based on an arbitrary and capricious standard, which requires courts to give deference to state agencies. Sparks used a de novo review standard in issuing the preliminary injunction, meaning he gave no deference to former Texas Health and Human Services Commission Inspector General Stuart Bowen’s decision to cut Planned Parenthood’s Medicaid funding, and reviewed the evidence of Planned Parenthood’s alleged ethical violations as if he were the first to consider them. Daleiden showed the Texas video and others he shot at different Planned Parenthood clinics to two Republican congressmen in 2015, shortly before posting them on YouTube. The fallout came hot and heavy, with both the U.S. House of Representatives and U.S. Senate launching investigations into Planned Parenthood, and several states unsuccessfully trying to defund its Medicaid funding. None of the inquiries confirmed Daleiden’s claims that Planned Parenthood sells aborted fetal tissue. But his undercover work targeting Planned Parenthood did get him indicted in Texas in January 2016, charged with felony tampering with government records for making a fake ID, and a misdemeanor for emailing an offer to buy fetal tissue. Those charges were dismissed, but were followed up with 14 felony counts California state prosecutors filed against Daleiden in June 2017 over his undercover work. He has pleaded not guilty to those charges. Hacker, the assistant solicitor general, told the panel that the FBI and U.S. Department of Justice are investigating the videos. She said that despite the clear evidence of ethical violations in the video, Planned Parenthood Federation of America has never repudiated anything in it and continues to defend it. “It seems successfully,” Judge Catherina Haynes, a George W. Bush appointee said. Paxton said he is confident the state will prevail. “Planned Parenthood’s shocking and repugnant conduct, captured in the raw video footage, proves that it is not a ‘qualified’ provider under the Medicaid Act. An organization that is willing to subject women to abortion procedure modifications that can put their health at risk without their consent does not deserve a dime of Texas taxpayers’ money,” he said in a statement. The panel did not say when it will issue a ruling.